The Hopper 3 is our newest whole home DVR system. The Hopper 3 includes 16 tuners which prevents recording conflicts, has Netflix, Pandora & YourTube apps built in, and can find your remote with a pust of a button. 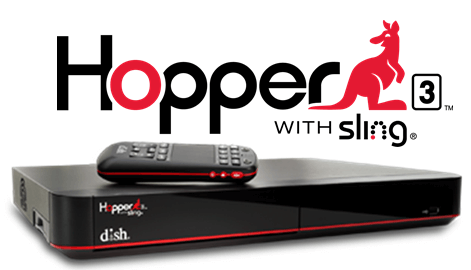 The Hopper 3 will bring your TV viewing experience to a whole new level. With apps built in, recording capable with external hard-drive and compatible with the on the go mobile Dish Tailgator, the Walley receiver is one of our favorite Dish receivers!